At the end of the story, the narrator Mama Marie shares how anyone can feel like an orphan due to a broken family, loneliness, rejection, etc. Join her and her friends to discover the reality of the Father’s heart, where you will always belong. Barkley the Bear Belongs: Overcoming An Orphan Heart by Reba Russell was published by Kingdom Door Publishing, LLC in November 2017. The ISBN for Barkley the Bear Belongs: Overcoming An Orphan Heart is 9780997491326. 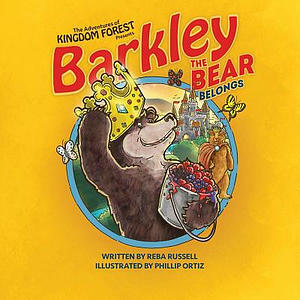 Be the first to review Barkley the Bear Belongs: Overcoming An Orphan Heart! Got a question? No problem! Just click here to ask us about Barkley the Bear Belongs: Overcoming An Orphan Heart.